An estimated 5,000 executive condominium (EC) units in eight new projects are set to be launched this year. ECs are public-private housing hybrids that are subject to HDB eligibility conditions with minimum occupation periods as well as a loan cap of 30% due to the Mortgage Service Ratio (MSR). These usually become fully private-owned after 10 years. The huge number of units to be launched is worrisome for developers as it will probably exacerbate the existing problem of unsold inventory. 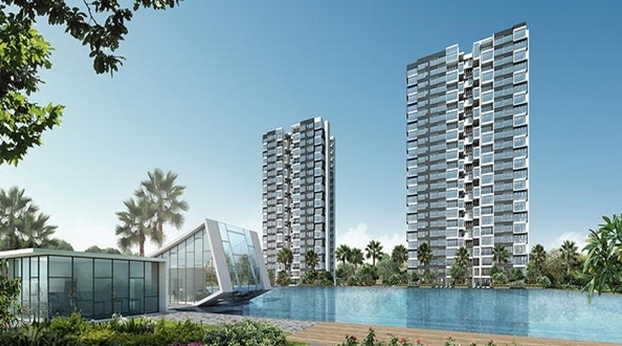 Currently, there are an estimated 2,100 units from over 12 EC projects which remain unsold. A study by the Urban Redevelopment Authority (URA) showed that the vacancy rate of ECs rose up to 15.1% for the 1st quarter of 2015, in contrast to the 11.5% during the preceding quarter. Having that said, consultants are expecting a slow reception for these units, due to first, loan restrictions which hamper the purchasing power of potential buyers, and second, competitive pricing of the sites usually sold at high prices, leaving developers little leeway for adjustment. As stated by Nicholas Mak, SLP’s International Executive Director, on top of these two problems, the upgrade resale levy is another problem, asserting that it would take about two to three years for the market to be able to absorb the additional units to be sold, on top of the remaining unsold inventory. Another consultant, Mr. Ong, noted that the MSR has limited the pool of qualified buyers while at the same time reducing the affordability of ECs, which has resulted into a lower demand for such. He reiterated that unless margins are sacrificed, the developers are left with not much pricing headroom as these unsold ECs are on sites bought at relatively high prices. Because of these, projects would have to also look after other positive attributes to attract buyers. One such attribute, Mr Ong said, is its distance to public transportation such as the MRT and its amenities. Other consultants argue that due to the cap set by the total debt servicing ratio (TDSR) on liabilities (60% of gross monthly income), the MSR of 30% for units bought directly from developers has become redundant. It has even resulted into an awkward situation wherein buyers can obtain a better loan quantum for private condominiums over an EC. Such private condominiums are deemed as “mass-market” condominiums, which are usually found in the outskirts of Singapore. A few examples include Symphony Suites, Skies Miltona and Lakeville etc. Additionally, buyers would have to wait for 15 months from the time the sites are acquired before an EC launch to take place due to a rule implemented back in January 2013. Prior to this rule, an EC launch could be made as early as six months post-acquisition. The problem with this rule is the volatility of the market conditions during the 15-month period. It will be difficult for developers to make adjustments after their building plans are finished, in case significant changes would happen during the said period. On top of these, since developers would have to wait for a much longer period before receive payments from buyers, they would have to look for other means to finance the first phases of the construction, making it very economically cumbersome. On top of that, it will not be uncommon for a buyer to receive an increased salary during the 15 months, which might disqualify him from purchasing an EC unit, since the buyer’s gross monthly household income is capped at S$12,000. One consultant, Mr. Lim, suggested that it might be better for the EC loan rules to match those of private properties. Mr. Ong expressed the same concern in saying that the continued decline on bids for EC should be a signal for a review of the 15-month waiting period.